Georg sent me pictures of his new canvases — I fell in love with 2 of them. 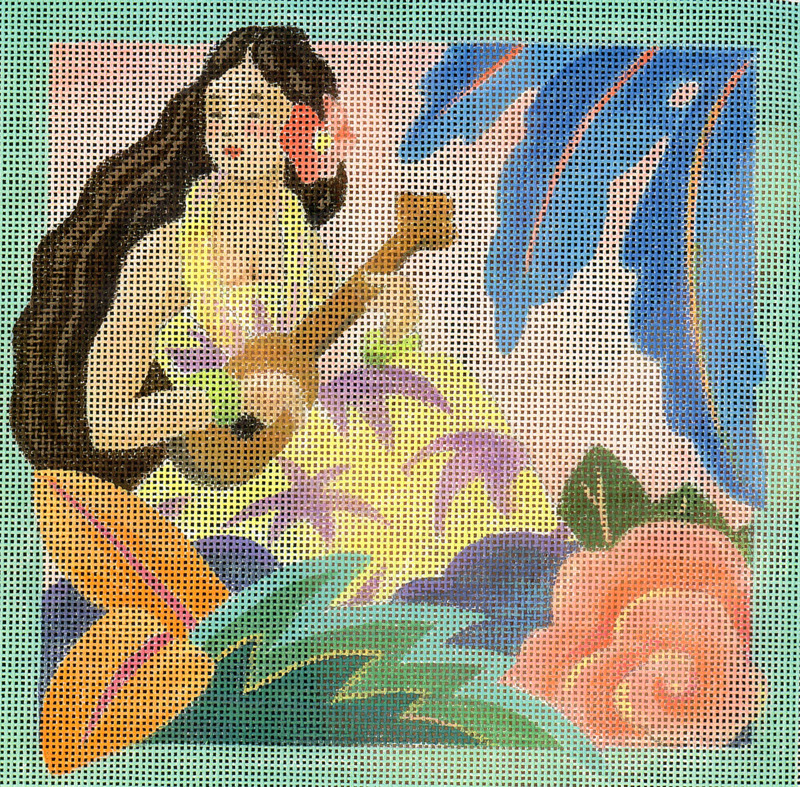 Two designs are done in the retro style — Hawaiian Girl with Ukulele. 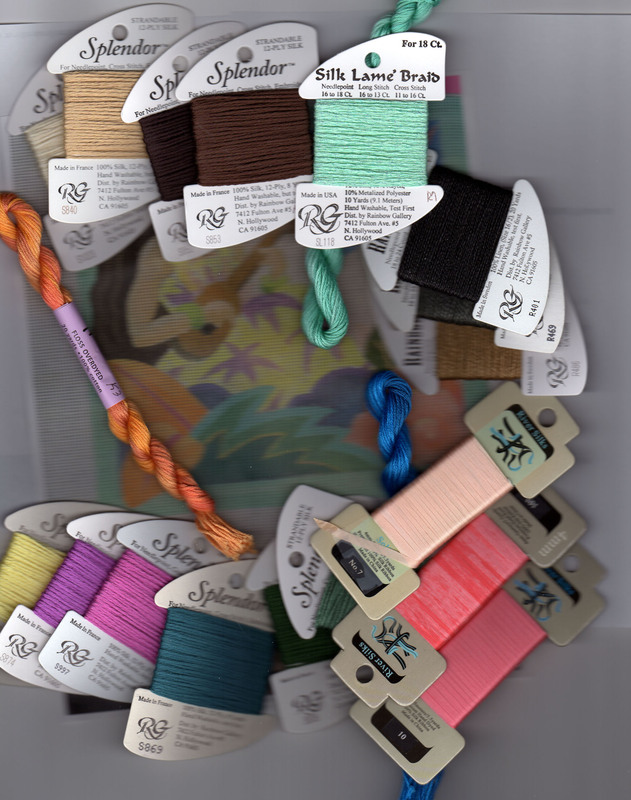 I have even started pulling threads. 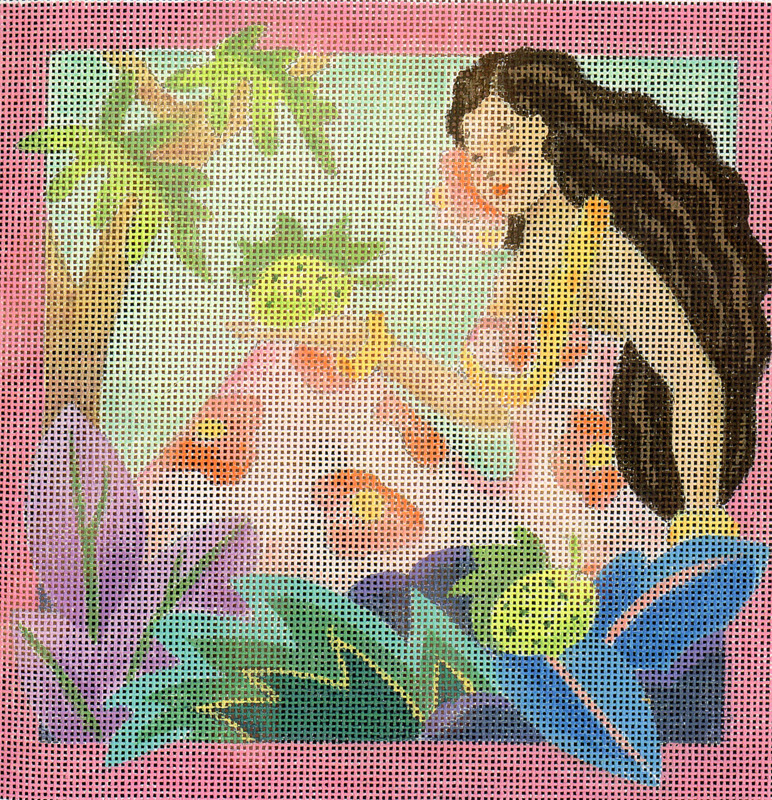 And then there is the Hawaiian Girl with Fruit — that’s breadfruit.